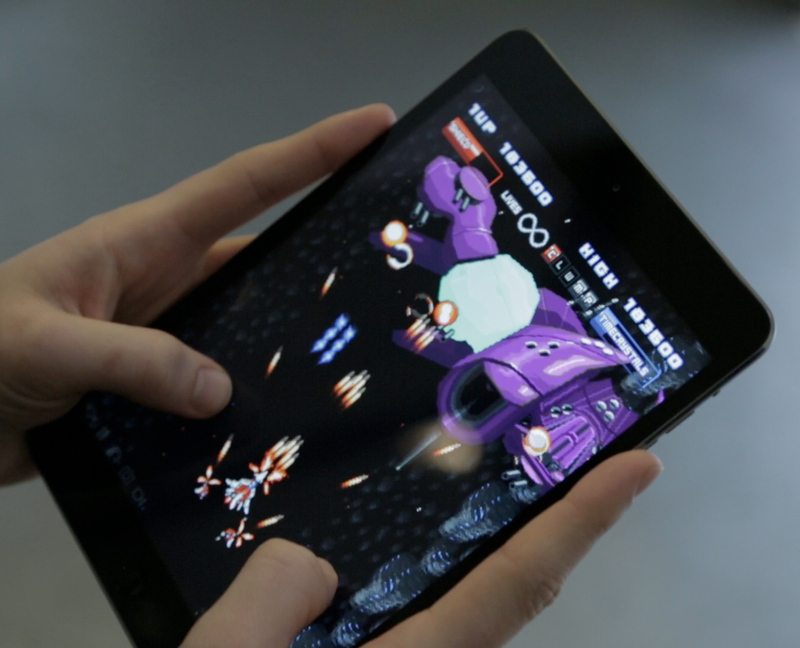 Starsceptre is a classic retro shoot ’em up that uses touch screen controls to fly your ship against an enemy of endless power and incredible odds! Looking like one of those 8bit or 16 bit pixel games you loved as a kid, you’ll relive 80s & 90s arcade memories on the go via your iPhone or iPad. And like all the classics, this game is easy to play, but difficult to master. From high speed dodging to pixel-precise control, your nerves and reactions will be tested to their limits. The Starsceptre itself is a legend that only the few still believe in… but in the wrong hands its power is truly terrifying. It grants the wielder the power to right wrongs, bending time so you can try to complete the game again and again without ever dying. For centuries the Draxses have conquered planets, stripping them of precious resources and enslaving their occupants, but now a new weapon has made them virtually unstoppable. Only the Starsceptre has the power to stop the Draxses. And they want it! Playing as Ensign Rook, you awake suddenly in the cockpit of your Starfighter to find your short-term memory missing as you float amongst the shattered halves of your home planet. Accompanied only by Onalee, a mysterious stowaway on your ship who wields the Starsceptre, you must battle your way to defeating the Draxses. Can you stop other planets from suffering the same fate?